A strong dose of soulful thought. Last week, renowned anti-racist advocate, Tim Wise, came to UMass for a screening of his new documentary, “White Like Me,” followed by a question and answer period with the audience. I won’t go into details about the actual documentary, y’all can check that on your own time, but during the post-screening period, Wise was confronted about some online beef that occurred after a post on his blog in remembrance of the 50th anniversary of the Birmingham 16th Street Church bombing that killed 4 African-American girls on September 16th, 1963. His post not only acknowledges the tragedy, but also pays tribute to a man named Charles Morgan, Jr, a white southerner who lived in Birmingham at the time, but who opposed the bombings and was ultimately chased out of the South because of his willingness to speak out against racism. Following the post, a stream of opposition came. In general, they criticized Wise’s emphasis on the need for white allies. After all, they said, if it wasn’t for white people making the lives so hard for Black-Americans to begin with, they wouldn’t need white partnership in the first place. Wise retaliated to the responses through his Facebook page, the status update wasn’t so friendly. Wise admitted to the audience at UMass that he was wrong for how he reacted, saying that he is “only human,” and he can’t be perfect all the time. Once the applause ended after the apology, a man of color rose and told his own story of dealing with anger. He was a professor at Hampshire College, from the Bronx, and he explained how living in western Massachusetts is never easy for men of color. He told Wise of the discrimination he deals with on a regular basis. Despite being a college professor, it was the color of his skin that was seen first, and it would always put him in a disadvantage. Any man of color knows, he said, that we don’t get the luxury of “being only human,” because being of color, any outburst could be your last–you don’t need to read a James Baldwin novel to come to that realization. Tim Wise, a renowned expert on white privilege, could recognize he was a product of white privilege, but he could never fully understand how it manifested itself in his own life. If I he could, then he would never have been so openly accepting of the fact that he can have angry outbursts over issues as sensitive as the Birmingham bombing, and so easily get applause over it. It was a year ago on my college campus when I had first met Tim Wise. I had no idea how famous Tim was, I had never heard of him before. As I sat down to hear him speak to a packed auditorium, I was impressed and unimpressed all in one. I remember being amused by his delivery, you cannot deny he wouldn’t fair too badly as a stand up comedian. He has a way of fusing irony and raw facts through stating just the obvious reality. That is always refreshing to hear from someone who isn’t of color. But then that becomes the real issue: Tim Wise isn’t a person of color. What he was saying wasn’t anything new or profound, but it was the fact that he was white which was why people gave him so much praise. So to put it ironically: In the same way Tim Wise goes around raising awareness on white privilege, he also benefits from it–he is white privilege. At the end of the lecture, a friend who helped organized the event asked if I would go with him to take Tim to the airport. I couldn’t turn down an opportunity to get some one one one with Tim Wise after hearing everything he just said. We covered a lot of ground in that 40-minute car ride. He told me about where he grew up, what he studied in college, why he does the work he does, he even told me how he met his wife. We talked about my own studies, intellectual curiosities, and some of the research I was currently working on. It was an inspirational car ride, one that influenced the direction of a lot of the research I did that semester, along with many of the things I write on this blog. It’s great that that guy stood up for what was right, but to try to piggy back on a very significant and painful part of AA history to sing the praises of a white guy who did the right things is… missing the point. It’s great he did that. It’s awesome, but he doesn’t get a cookie. Why is it so hard for people to understand that you don’t get applause for being a decent person? I don’t care if he goes around speaking to large audiences, it’s the fact that he has become more than just a spokesperson on white privilege and that he feels he can also become a spokesperson for Black America, as well. I don’t have any inner-conflicts being upset when people ask Tim Wise to speak on national television over issues of race when there is a sea of well qualified black scholars who can say the same things Tim says, if not better. 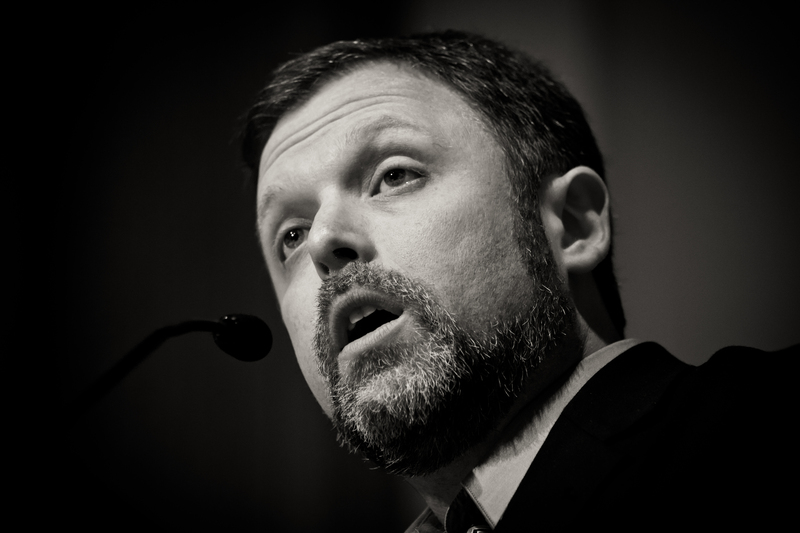 My words to Tim Wise: Black-America could use a few white allies, but we don’t need white leaders attempting to claim some sort of moral medal for doing what every human being should be expected to do: the right thing. This entry was posted in Caught my Eye, Commentary and Opinion Pieces, Critical Black Issues, Race, Racism and White Privilege and tagged anti-racism dialogue, race discussions, Tim Wise, white privilege. Bookmark the permalink.